contact ThermX for application assistance. Multipoint Temperature Profiling Sensors measure the temperature at different points along its length. Its unique design is made with an ungrounded (isolated) junction with multiple measuring points arranged along the length of the probe. It accurately measures temperatures up to 2100°F with lengths varying up to 700 feet. 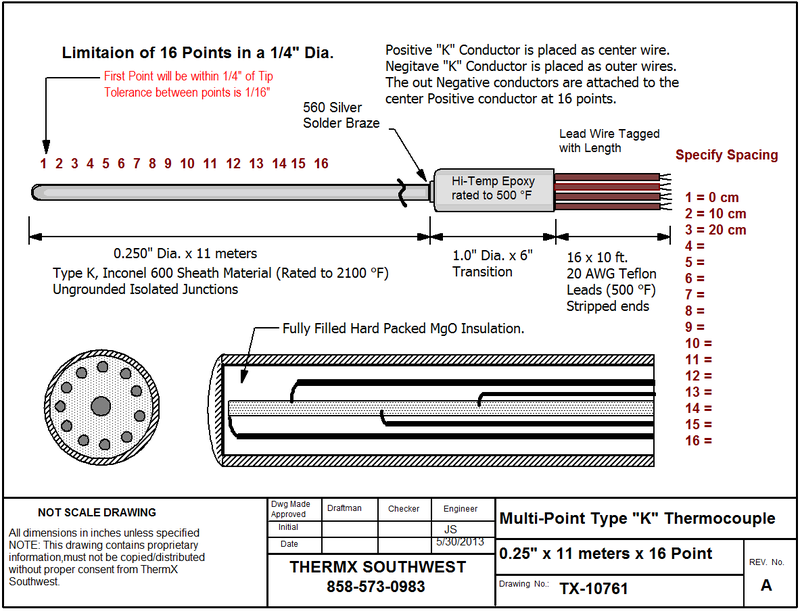 This design uses a hard packed MgO insulation like a traditional thermocouple, except it uses a larger single (+) positive conductor as the center conductor with multiple (-) negative conductors around it. The benefit is a larger conductor size in a smaller flexible package. These sensors are frequently used in chemical and petrochemical industries because they provide an excellent temperature profile for chemical reactors, catalytic crackers, fractionation towers, and fluidized bed catalyst tanks. 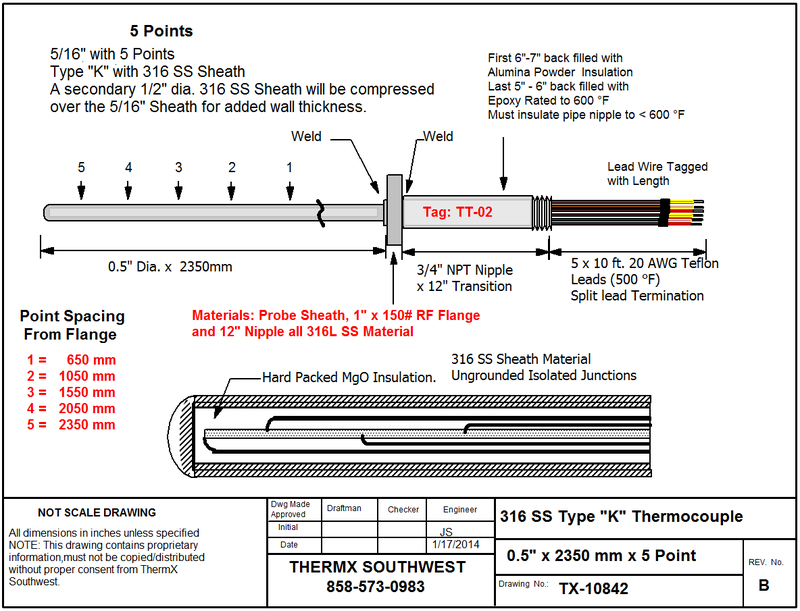 *Maximum temperatures per ASTM E-608, sheath material will determine max usable temperature. 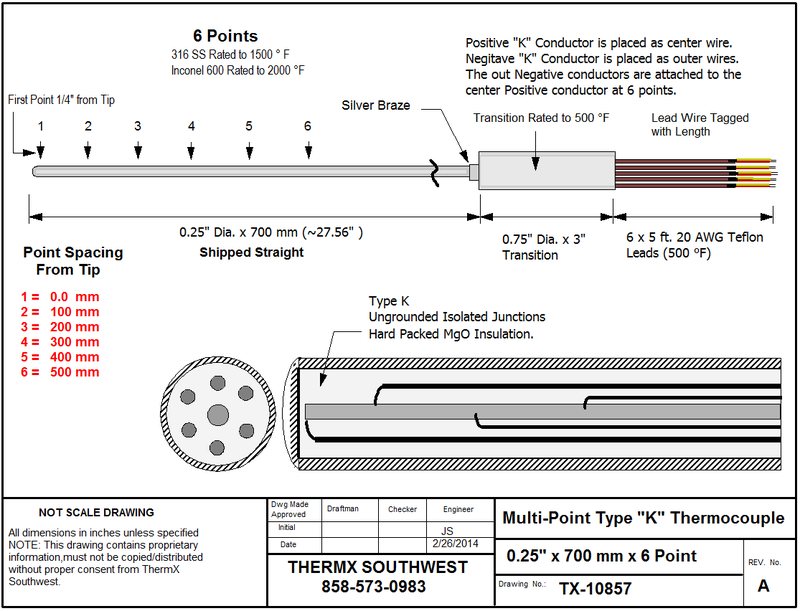 * Epoxy potting temperature rating 300°F/150°C with 600°F/320°C epoxy available upon request.